It doesn’t matter if you are in a professional work environment, participating in sports, or just with your family, having a strong support system is important. I just returned from a long Memorial weekend in Phoenix. It was not a vacation. In fact, I need to take off the rest of this week in order to recover. I was in Phoenix for a travel swim meet for my kids. Ms. Financial Slacker stayed home to tend to our new additions (two 11-week old labrador retriever puppies). That left me to manage the weekend without my primary support system. As tiring as the long weekend was, it was still a great chance to spend time with my kids away from the daily challenges of being at home. I really enjoyed the experience, but I’m also glad to be back home. I have a pretty good support system in place – Ms. FS, family, friends – but this weekend stretched that system. If you haven’t been involved with the sport of swimming, it’s probably difficult to understand what it’s all about. In this case, my two kids were swimming at different pools that were 20 minutes apart. One had preliminary swims at a pool that was 25 minutes from our hotel beginning at 7am every day. That preliminary session lasted until after noon. We then had a few hours to eat, rest, and get ready for the finals session in the evening. The finals session was at a different pool that was about 20 minutes away from the hotel and lasted from 4pm until after 7pm each day. And these are outdoor pools in near 100 degree weather. Obviously, I wasn’t swimming, but I was still exhausted. I can just imagine how tired the kids were. And it wasn’t just kids swimming. 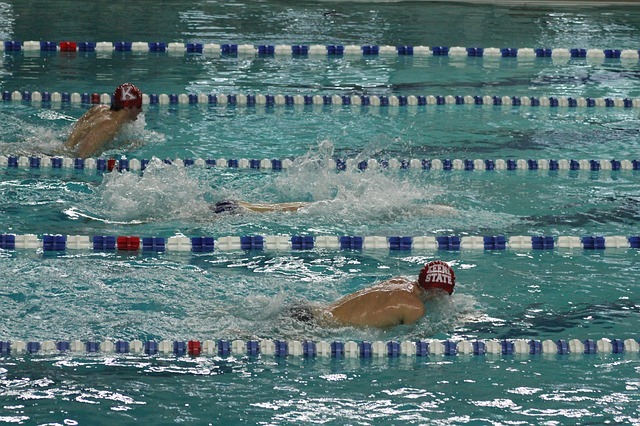 Although the youngest was probably 6 years old, there were swimmers in their 50’s also competing. And there was a strong showing from college swimmers looking to qualify for the upcoming Olympic Trials where they will select the US Olympic team. That’s one thing that makes swimming such a fun sport. In addition to the health benefits and relatively low risk of injury, the average athletes get to swim side-by-side with potential Olympic athletes in the same meet. How often does that happen? Not only was I feeling the stress of managing this process on my own, but as the sole contributor to this site, during that time I was in Phoenix, it was difficult to do any blogging-related activities. Prior to leaving, I did plan ahead and had a few articles already drafted that could be posted without much effort, but beyond that I didn’t have the energy to do anything more. I didn’t reply to comments consistently. I didn’t read and comment on other blogs. And it reminded me of how important it is to have a strong support system for all of us. In addition to not having my usual personal support system with me as she was supporting another aspect of our life, I really missed not having a support network to keep this site operating at full capacity. It’s easy to find yourself spending all your time focusing inward. And while it is perfectly fine to be introverted and draw your strength from within, it’s also important to not completely isolate yourself. Improved productivity. This is probably the most obvious benefit of a strong support system. There’s only so much you can accomplish individually. The time you have available to work on any one thing is limited. Even having one additional person you can draw on to leverage your time can drastically increase your productivity. Additionally, by splitting up work among more than one, you can get more done in a shorter period of time. Enhanced quality. They say, “two sets of eyes are better than one.” Having someone review your work, someone to ask questions, someone to bounce ideas off can improve the quality of your work. If you have worked much in groups, you have seen how brainstorming sessions done with others can often lead to many more ideas than when done alone. Greater social interaction. Spending time with others, assuming they are supportive and have positive attitudes can improve your own sense of happiness. Stress management. Having a support system in place can help reduce the stress of feeling like everything is on your shoulders. A support system is a two-way street. Part of having another available to help you is providing support to that person when they need it. Start with your family. This is your best place to begin building your support system. If you are close to your family, you can start by discussing how you can help each other out. Extend to include friends. Find people with common interests. Learn to use technology. Depending on your needs, you probably shouldn’t have your entire support system be virtual as there is something to be said for actual human interaction, but the use of technology can certainly extend the reach of your support system. What support systems do you have in place? Is the system primarily for personal support, or professional? Great post FS. I think it”s important for us all to understand that being healthy financially is only part of the equation. As I’m sure we all know, having a ton of money but being too sick to enjoy it isn’t much of a life. And physical health, again, is only another part. You can have all the money you need, exercise until you drop to give you the physical health but on top of that we need to maintain our mental health to and having a close support network is a key to that for most of us. My other half, Ms MM has been so incredibly supportive of my recent move to early retirement. She knows that I have been so under-whelmed with the work I have been doing recently that this latest life change has been so positive for me. And she also gets to reap the rewards from that too. I also have found a great support network amongst many of the regular FIRE bloggers I follow and who are following me. FIRE is still seen by most of the world’s population as being a bit left-of -centre. Perhaps less than the Doomsday Preppers, but still a bit to different for most to comprehend, my friends included. Therefore, being able to discuss and share ideas with like-minded people has been a refreshing discovery. So, in closing, thanks for being part of my support network, all of you. I feel the same way. It’s great to have a community of like-minded people to share ideas with. Honestly, until I discovered this community, I never really thought about retirement any more than worrying about whether I would have enough money. Now, it’s a lifestyle choice. The community of bloggers is awesome and a valuable resource that I am glad I tapped into so early! I’m sure when you achieve early retirement, Ms AE will be very happy. It definitely takes the pressure off. And I totally agree. The bloggng community is such a great resource. Being in stealth mode about our plans for FIRE, Mr and Mrs PIE are the 1-2 support network. That’s just the way it has to be for many reasons. It has to be a strong 1-2 with things like our two kids baseball five nights per week and two days at the weekend!! Understand where you are coming from with the swim week shuttling back and forward! Things work so much smoother when you have a good 1-2 team. It’s great when that can form the core support system. Sounds like baseball is similar to swimming. Youth sports require so much greater commitment today than when I was growing up. I wonder how much the lack of unstructured free time will impact that generation. It sounds like you have every reason to be exhausted after such a busy trip. I can relate to the difficulty of managing a blog and other responsibilities. Last week, I wasn’t able to carve out any time to visit and comment on other blogs. It feels really lousy to be unable to support others in our community, but I am glad to have a bit more time this week. I know what you mean about supporting the community. Glad to hear you have been able to find a little more time this week. For me, it’s difficult to find the time now that the kids are out of school. That’s one of the challenges of working from home. Having that Social component throughout life even into elderly years is very important and brings with it many benefits on the health side of things. In reference to the later years in life as well, there is a reason why most people recall their relationships before their finances (although important as well) when asked about what brought them the most satisfaction throughout their life. That’s one of the reasons we made a move back to my hometown a few years back – to be closer to my parents. I think it’s beneficial for multiple generations to interact and support each other. There are benefits for all involved. Hey FS, very good points. I’m extremely lucky that Jasmin (my wife) is completely on board with all our financial choices (we grew and are growing financially together). No-one else in our family has the frugal/FI/investing mindset. It’s good to have each other. It’s also great that Jasmin helps me with some things on the blog, wants it to do well and some time in the future she will probably play a bigger part in it (more topics). Ms. Financial Slacker and I have been on the same page since the beginning. It makes decisions much easier. I’m not sure how it would work if both parties weren’t aligned. Regarding the site, she still has a pretty demanding day job, so I don’t think she’ll be contributing much at least in terms of content. But definitely contributing in other ways. The people who show up for you are vital in your life. When my elderly family member was in acute care, he had my help in confronting the health care providers who were making questionable choices for him. This family member has previously let me live with him, provided guidance, and provided love. With his support, I have been able to succeed. Now I get to return the favors. I am also fortunate to have a strong family network around me. I do feel bad for those without family. Hopefully, they have good friends. There are times when we all need help and support.